My 2000 28 is for sale Cummins 6BTA 330HP with 1990hrs. The boat is green stick equipped and has top of the line Garmin Electronics package. 3 Airmar Chrip transducers, the most recent one in 2018 is a 3kw 599R with GSD 26. I use it for daytime sword fishing. This boat is dialed in. I have put over $31,000 into the boat the last 3 seasons. I had planned to keep the boat for another 2-5 years so I put a bunch of money into it but my plans have changed. The greenstick, ,mainline, the droppers and all the diagrams I have will go with the boat. This alone will save you a year of getting the stick dialed in. I keep very detailed maintenance records which will go with the boat as well. 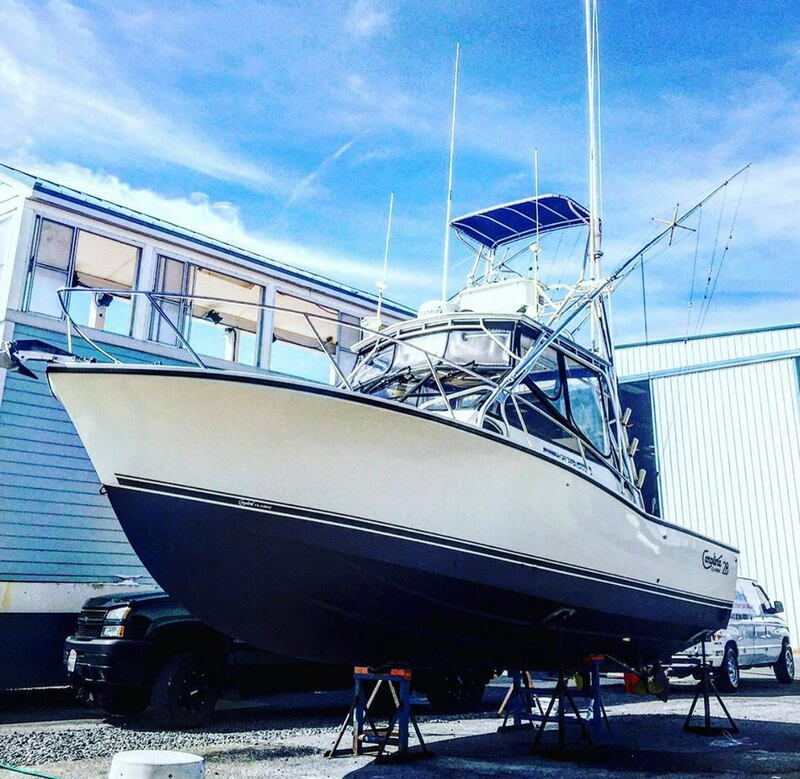 I am the second owner and have put 980 trouble free hours on the boat, it is a certified fish killing machine, with services up to date, turn key and ready for years and years of fishing to come. Contact Jimmy Fields for more information. Professional pictures were taken today will update with those as they come available. There was been a price adjustment check out the listing!!! Contact Jimmy or myself at 443 392 4926 for questions! The insurance company did a survey in 2017. Feel free to call me with any Questions. Have all my maintenance records in order ready to share with the next owner. Will the Opah hole numbers remain in the GPS? Yellow Fever and mdman352 like this. There is a price for everything ! Boat available to be shown this Saturday, it might be raining but the boat is inside and you can drive your car right to it! OK PEOPLE 79K***** for this fishing machine. Look at the pics below...a story about how equipped this boat is.... If you notice on the sonar screen shot I marked 2 solid returns near the bottom in 1875 ft of water at 12:18pm while trolling at 7kts... I spent the rest of the day trolling around covering the rest of the canyon... not seeing much all day I went back to the waypoint that I had the 2 returns at to spend the night.... You see in the next screen shot the sword was in the boat at 10:01pm...The bite from this sword came less than 500 ft from my waypoint at 12:18pm. In my eyes I marked the sword that won me $9,090 almost 10 hours before I caught it. Make the investment into this tournament proven rig. I cruised the boat at 2400 comfortable 24 kts.